Plastic Legions: Rangers of Shadow Deep- Prepping Burning Light. Rangers of Shadow Deep- Prepping Burning Light. 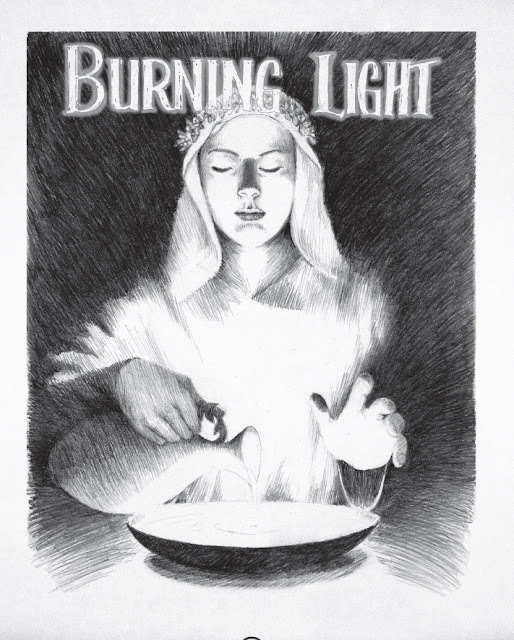 Burning Light is the first campaign supplement for Rangers of Shadow Deep, its included as an appendix to the core rules after the initial 8 introductory scenarios. In the coming months I’ll be playing the whole thing as solo campaign continuing the adventures of the Ranger Blackwulf and his men. Its an 9 Scenario Campaign so including this preparative post this should be a 10 post series. None of the Scenarios are particularly long , each scenario deals with a specific area which needs to explored and cleared on a 9 turn clock. so each game should make a single post, should things get long winded I might move into a second post but I am going to try to keep each to one. The Rangers of Alladore are sent to explore the ruins of an old convent deep within the darkness of the shadow deep to recover a powerful artifact. Most of the terrain is done as well , as I am using various pieces from my Village of Blackbarrow as the specific terrain or as background on a larger battle ground. Again the room sizes of scenarios with be down sized to fit my terrain, as I have previously mentioned I don’t necessarily think the battlegrounds should be a large as specified in the book, I understand “why” its that way , But in the context of a campaign its seems not realistic (the Hospital being 10,000 SF at 28mm Scale ) while my room I am using is around 1200 SF in scale is lot more realistic . The tighter spaces will give the game much more of a dungeon crawl feel. Some of the spaces are per as specified , some I am using the actual models of the building subscribed. 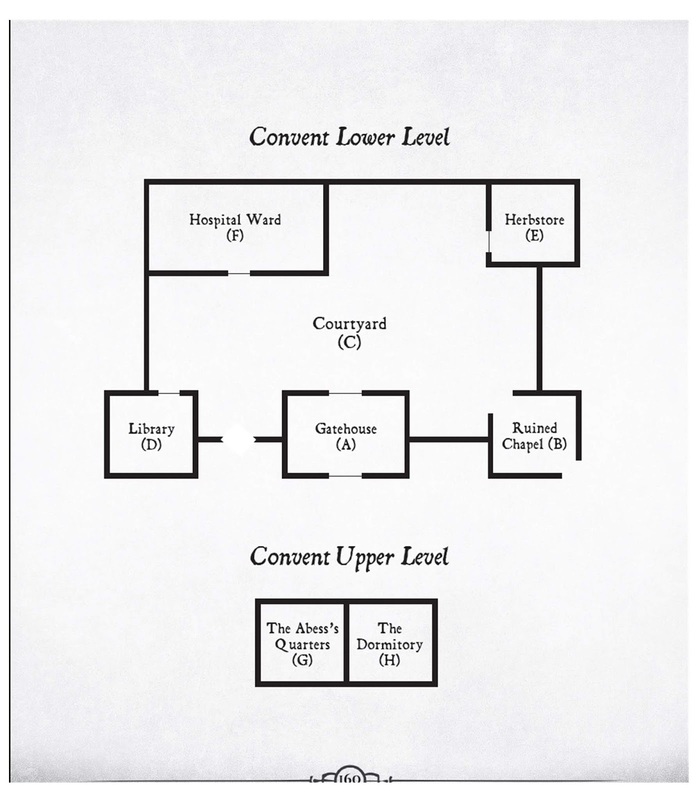 For instance my Wayside Inn makes a perfect Hospital, Abess Quarters and Dormitory, all I need to do is swap out the furniture. As you can see I kept the gatehouse pretty close the specified size, and still get to use my actual Gatehouse structure from my Castle with my newer modular walls. 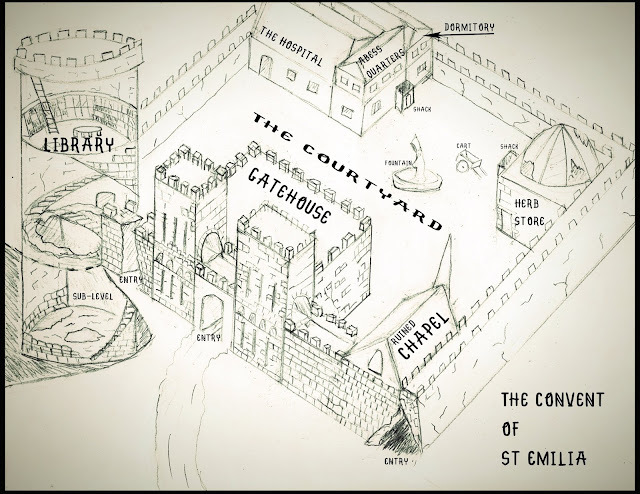 with Scenario A –The Gatehouse. Where I will reintroduce Blackwulf and his Crew with their current stats and roll some dice.